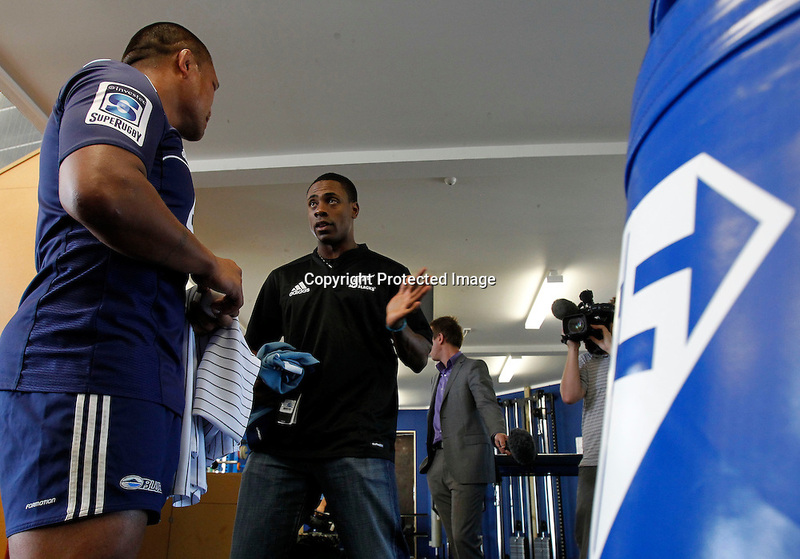 Blues Keven Mealamu gives Curtis Granderson a tour of the Blues facilities at Unitec. Major League Baseball player for the New York Yankees and former All Star, Curtis Granderson stop in at the Auckland Blues training. Thursday 27th January 2011.